After months of anticipation and planning I am finally in Tokyo! I admit that although I prepared for my trip with the knowledge that Japan is a difficult place to navigate with my elementary Japanese skills, I was still very nervous as I got on to the plane in Vancouver. I know that I had psyched myself out thinking about how challenging Japan was, so as I flew the long flight over, looking at all of the “foreigners” on the plane, I summoned my courage because if others could do it with no Japanese skills, I knew I would be able to fumble my way along with my remedial skills. 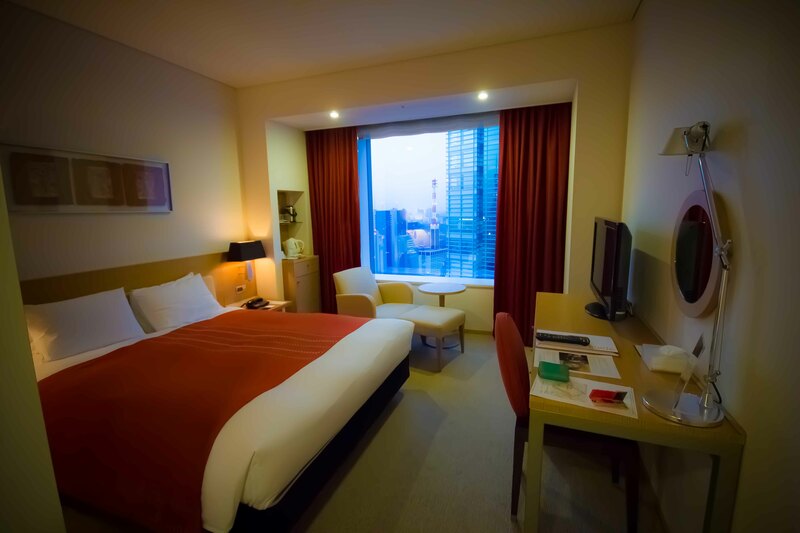 I booked myself into the Park Hotel, which is attached to a train station and walking distance to Ginza. I chose a hotel which had a reputable concierge because I knew this was going to be the easiest way for me to score the tough reservations I was looking to get. Bonus for me, a nice hotel means that I also get to enjoy the comforts of a reasonably sized room in a city where “tiny” is most often used to describe accommodations. As an added bonus, I have this great view of the city which is turning out to be a great backdrop to write this post. I have a must eat list for Japan, and when I started researching where I could have the “best” of each category, I found the PBS series “The Mind of a Chef” with David Chang, (and narrated by Anthony Bourdain). I was particularly drawn to the segments throughout the series that he did in Japan. So on my first night in Tokyo, I planned out a night going to 2 places Chang visited on his show. One thing I love about Japan is that restaurants usually do 1 thing and because they concentrate their efforts on that 1 thing, they do it very well. There are not a lot of 15 page menus (like the Cheesecake Factory) where the 2 main descriptors of why people like it are “the portions are big” and “there’s so much to choose from that everyone is happy”. In Japan, you go to a ramen restaurant to have ramen, and a tempura restaurant to have tempura. So on my first night in Tokyo, still jittery from a lack of sleep, I chose yakitori and had the concierge book me into Bird Land in Ginza. 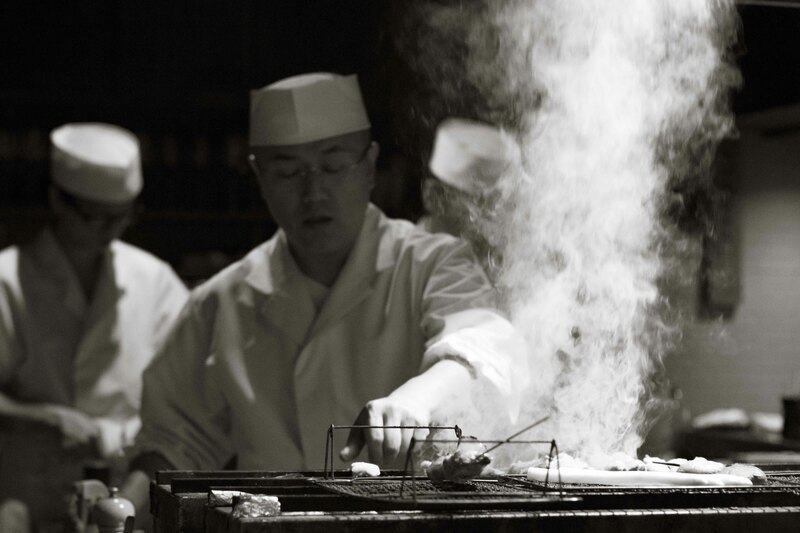 Bird Land was the first yakitori restaurant to earn Michelin 1*. I found it a bit hard to believe that a yakitori restaurant can have 1*, but then I remembered my experience at Tim Ho Wan in Hong Kong and that Michelin stars are awarded for food that is exemplary in its category and not just for being high-end. Map and address in hand, I took a taxi to Bird Land even though it was within walking distance, because I didn’t feel like getting lost on my first night. Funny enough, I think that taking the taxi was more confusing. The address on the map did not match the googlemap pin point and after some time “guruguru mawatte” (driving around in circles), the cab driver let me off to try to find the restaurant on my own. 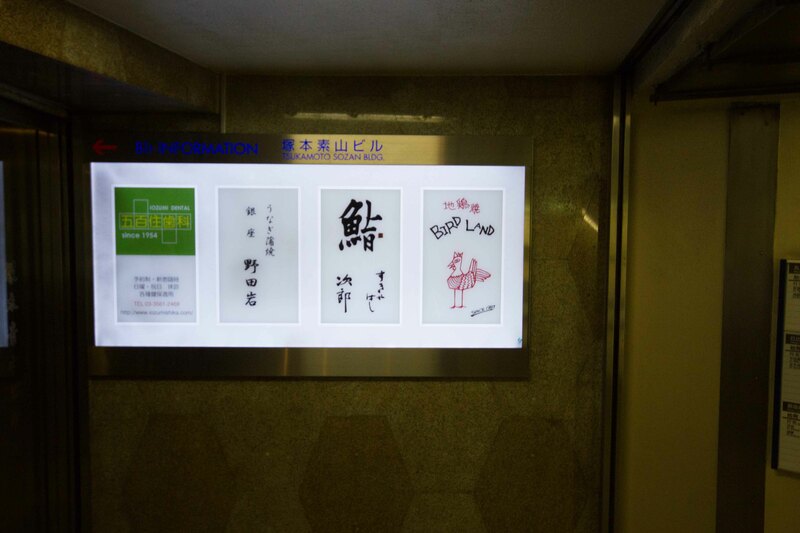 Luckily, I knew the restaurant was down in a train stop, so when I got close enough on the googlemap pinpoint, I chose the first train station entrance I could find and happened to find myself looking at the right sign. 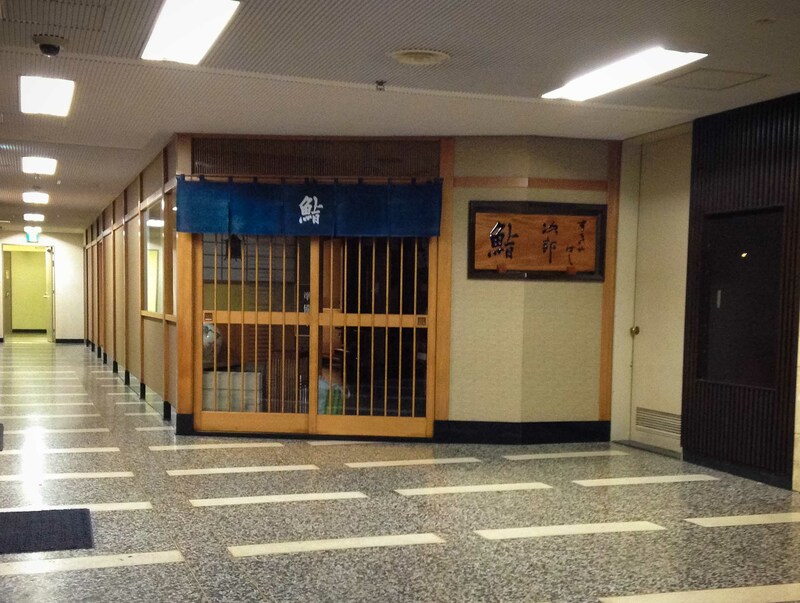 It bears mentioning that next door to Bird Land is Sukiyabashi Jiro (from Jiro Dreams of Sushi). And if you’re wondering, although I really enjoyed the movie, I did not try to get a reservation there. Inside Bird Land, I was seated at the counter and because I didn’t want to have to put any thought into my food, I ordered the ¥6,000 set. Most of what I knew of this restaurant was from a segment from Mind of a Chef where Chang sits at the counter and eats the same meal as I order. As I sat and watched Chef Wada-san work over his small charcoal grill, I knew I was in for a treat and was sad that I didn’t have anyone to share it with. 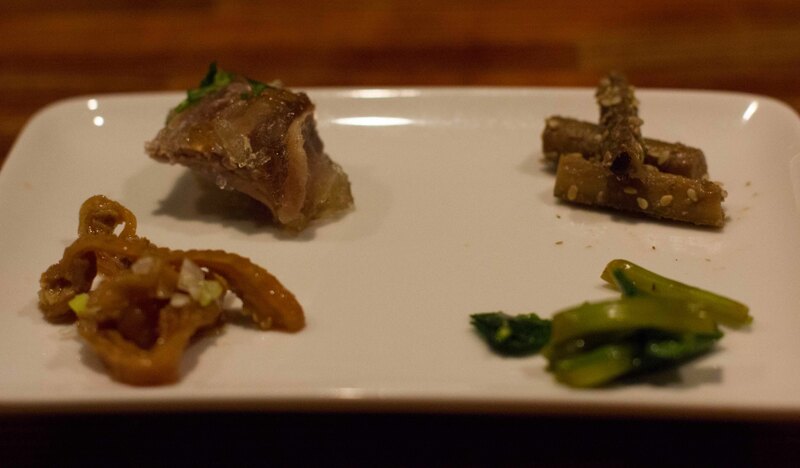 Appetizer plate of jellied gizzard, gobo, some greens and marinated chicken skin. Tiny nuggets of dense chicken pate. The hardness put me off until I tasted them. So packed with flavour! Wasabiyaki – Medium rare chicken breast lightly salted and topped with wasabi. I hate dealing with raw chicken in the kitchen so I was surprised to enjoy the taste and texture of pink center. Lightly seasoned with salt, shoyu and balsamic vinegar, the liver was tender without any offensive “liver-y-ness” to it. Wada-san seriously tends to his grill. 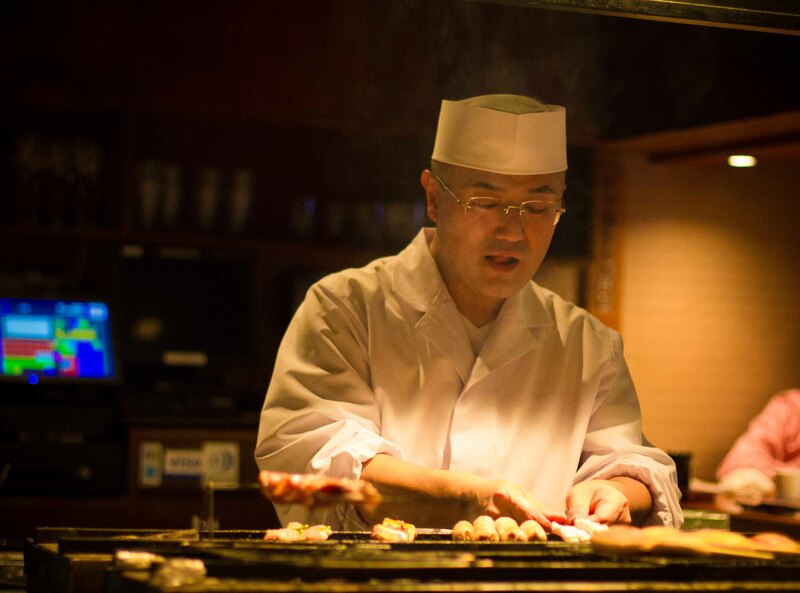 It was mesmerizing watching him work each skewer so carefully. 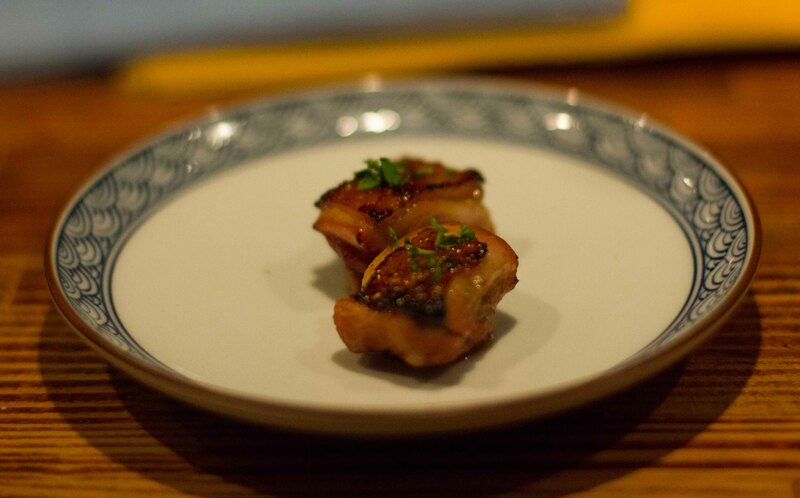 Chicken skin & neck meat combined together and sprinkled with sansho for my favourite bite of the night. A palate cleansing tofu drizzled with olive oil, salt & pepper. 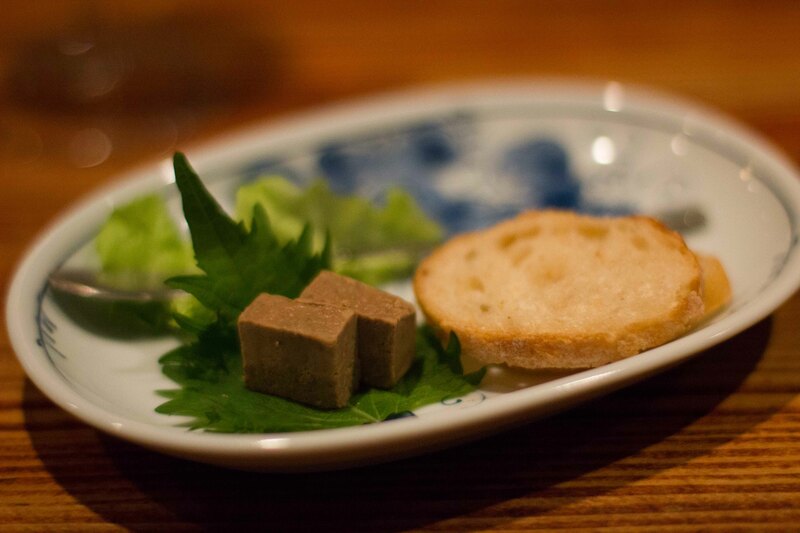 Tofu in Japan is so much better than anywhere else. Ginko nuts! 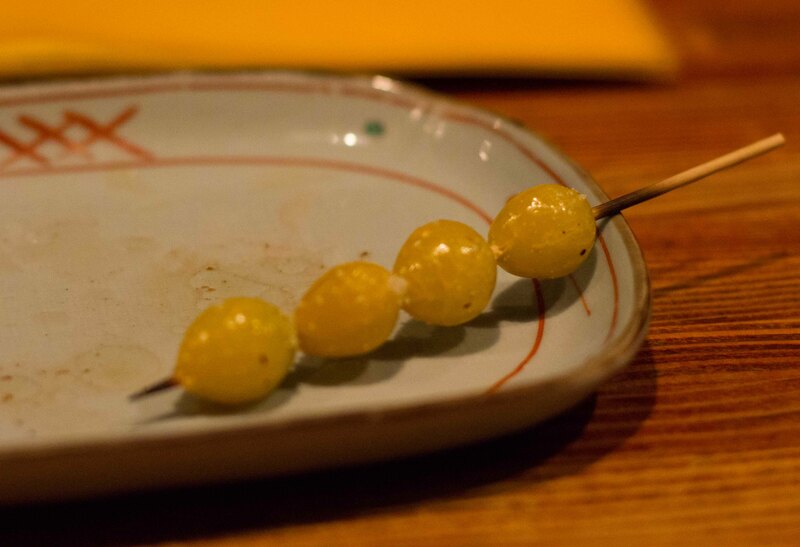 One of my first food memories is trying ginko nuts for the first time in Kyoto at a Kaiseki meal with my mom. Crunchy gizzard – I contemplated what part of the chicken the gizzard came from as I chewed through the delicious pieces. Wonderfully timed salad made me happy to get my greens after eating what was feeling like a whole chicken. 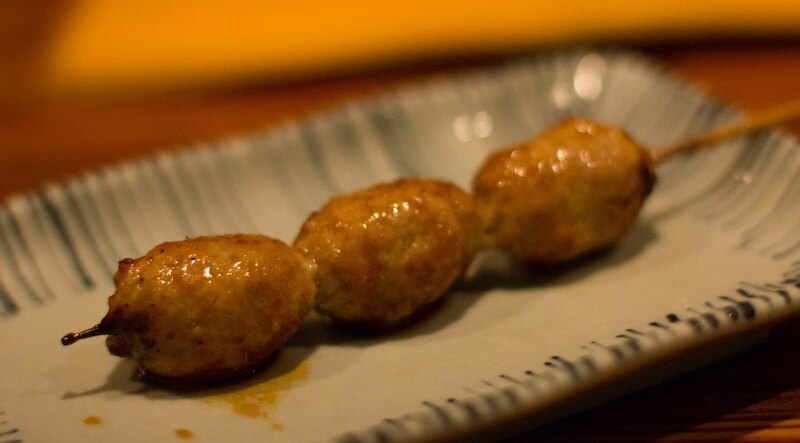 Tsukune is always my favourite skewer. 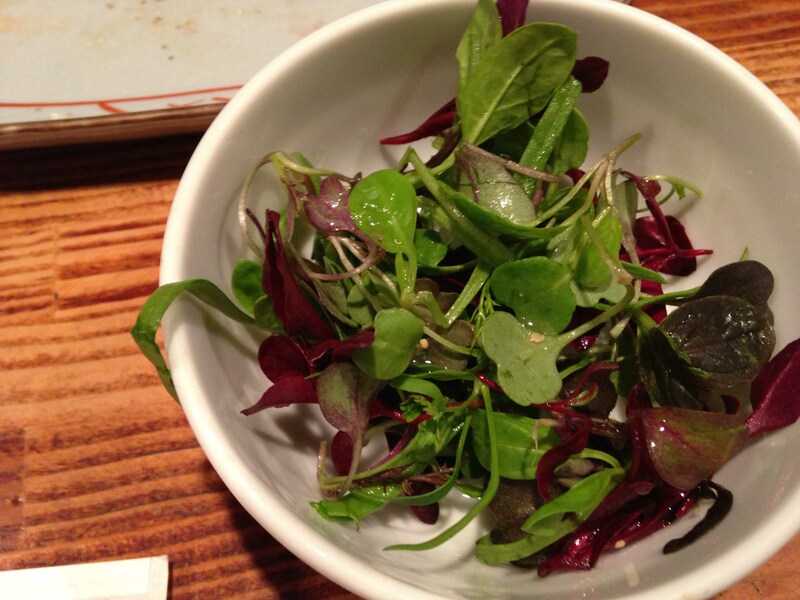 This juicy piece of minced chicken with hints of shiso ranked right up there as a highlight of the night. Thigh meat with its crunchy skin attached is a labour of love as it slowly cooks on the grill. You could taste the patience and care that went into these perfectly cooked morsels. I was getting full and wanted to pass on what looked like 2 humble pieces of shiitake. But of course what looks simple is often too good to pass up, which was true for these intensely mushroomy flavoured caps. 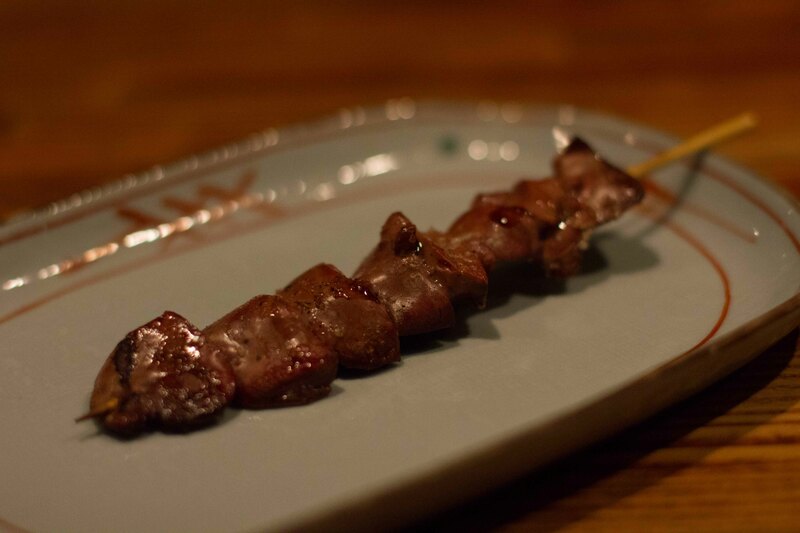 Negima – thigh meat interspersed with green onion and slathered in tare. A great last skewer for the night. So full by this point, I wanted to pass on the oyako don because I’m not usually a fan, but knew that would be rude. 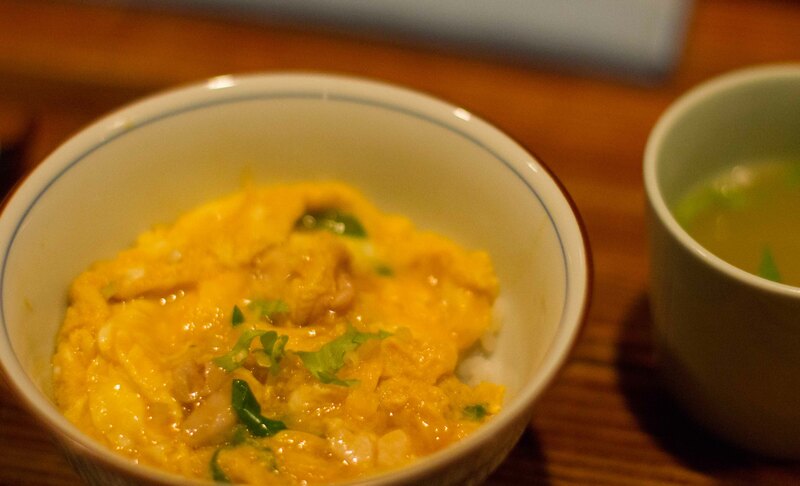 The barely cooked soft egg with tiny pieces of chicken made me rethink not liking oyako don. I guess I just don’t like bad okyakodon. Halfway into my meal at Bird Land, I fully embraced the fact that I was in Japan on my own. Although it’s nice to share meals with others, Japan is probably one of the easiest places to be a solo diner. I am fully prepared for the culinary awesomeness that I know that I’ll experience here in Japan. 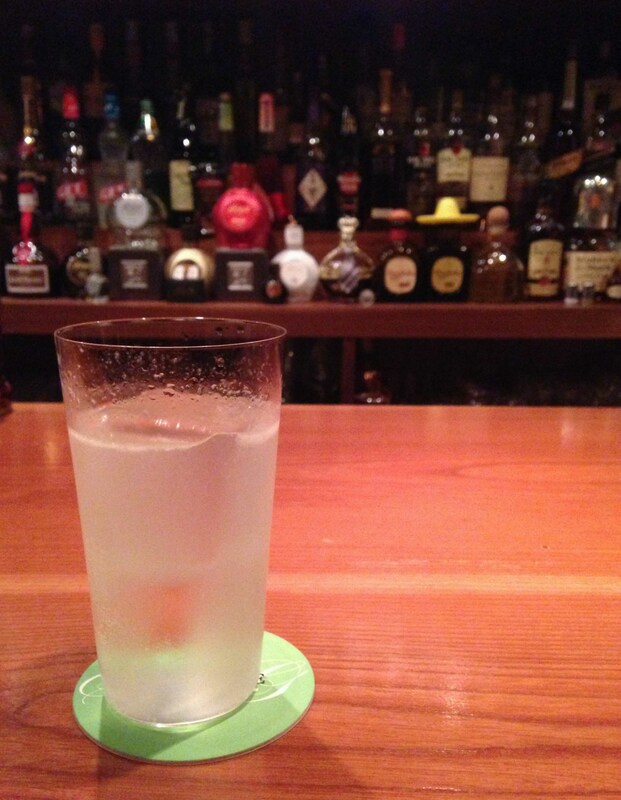 To end my night, I stopped off at Bar High Five (Chang also visited it on the show), where I was hoping the “legendary” bartender Ueno-san would be crafting his amazing cocktails. Unfortunately Ueno-san was not there, but of course I couldn’t say no to a few drinks. This little bar which seats maybe 14 people is really my kind of place. 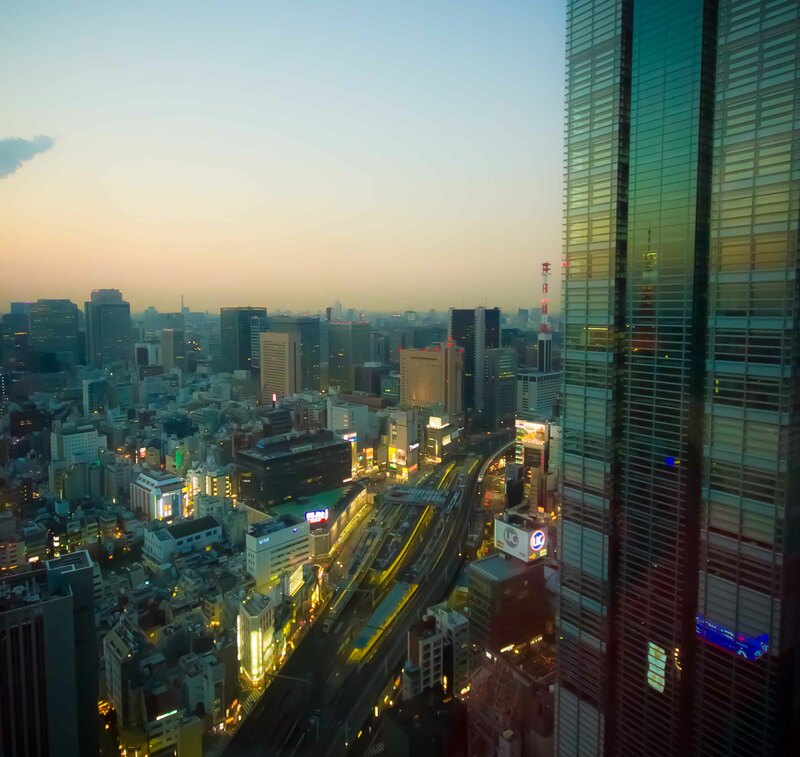 Tokyo is going to be epic. Having never eaten at a Michelin star restaurant, I’m super jealous! You are right, of all places to be dining solo, Japan is one of the best. People don’t get rowdy like they can in western restaurants. It’s the rowdy tables in the restaurant that make me cringe to think of dining alone. It’s hard to ignore how alone you are when others are partying. 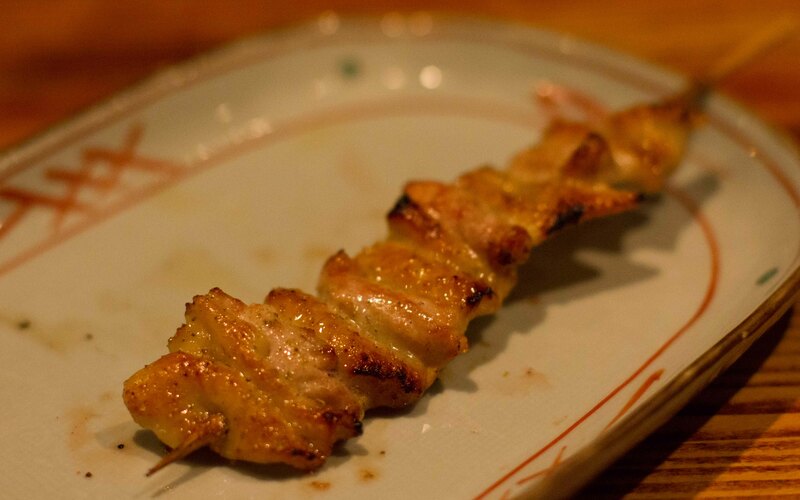 I adore yakitori and how special that you got to eat it in Japan. 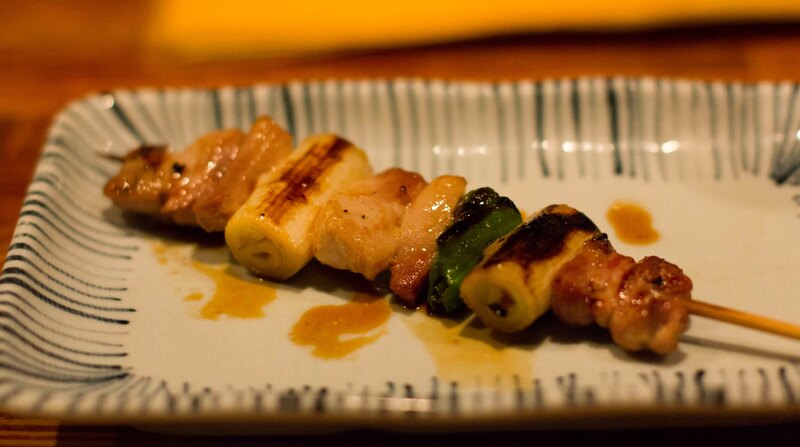 I think one of the pleasures of yakitori is that you taste each ingredient. It’s the complete opposite of one pot wonders where all the flavours mix together into one. 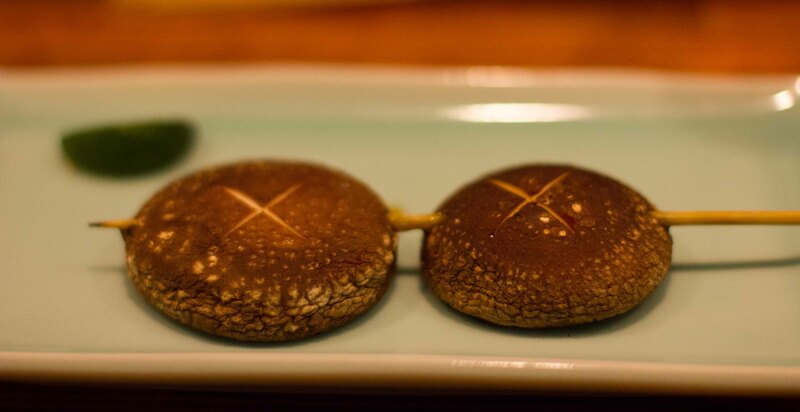 Were you tempted to peek into Sukiyabashi? Just to see if the chef was home? Has Michelin hit New Zealand? That’s where you’re from right? There are none in Vancouver and although I think it should be reserved for special occasions, sometimes I can’t help but to overload. I wanted to peek in, but to be honest it almost looked like it was closed from the lack of activity surrounding it. That and my “proper” Japanese upbringing prevented me from being a bother. No Michelin star restaurants in New Zealand or Australia. The closest that I can see is Vietnam. 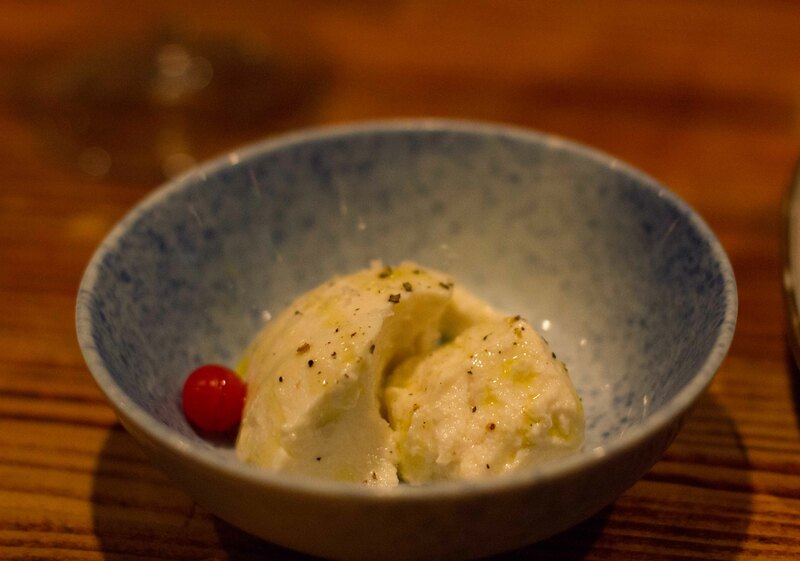 Next time I travel to a country with Michelin stars I hope to treat myself…just to see what the fuss is about. p.s. This post would be a great addition to Our Growing Edge. Ha, I was in Japan Jan/Feb this year (Already booked another trip next year!) and did the same thing as you, courtesy of Mind of a Chef, by hitting up Bird Land and Bar High Five. Good times! 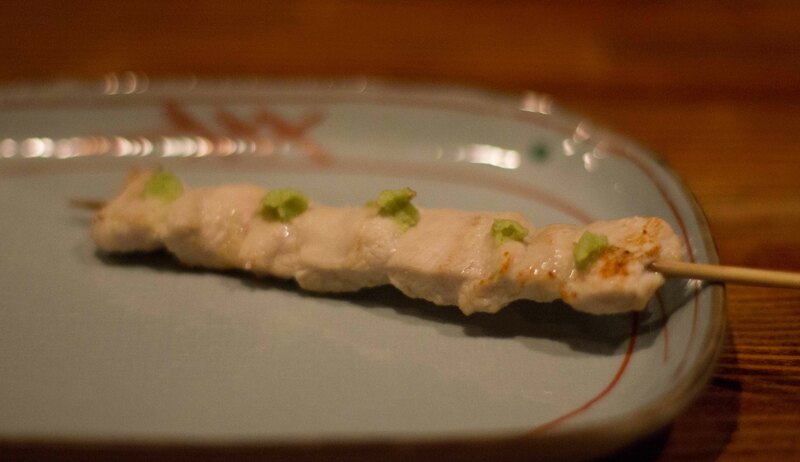 The raw chicken skewer was my favourite (seared on the outside), so flavoursome and tender. Followed by one (ten) too many drinks at Bar High Five.